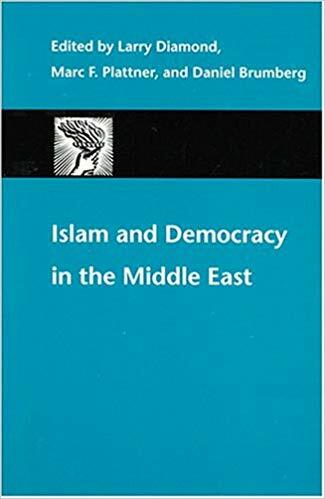 Islam and Democracy in the Middle East provides a comprehensive assessment of the origins and staying power of Middle East autocracies, as well as a sober account of the struggles of state reformers and opposition forces to promote civil liberties, competitive elections, and a pluralistic vision of Islam. Drawing on the insights of some twenty-five leading Western and Middle Eastern scholars, the book highlights the dualistic and often contradictory nature of political liberalization. As the case studies of Morocco, Algeria, Egypt, Jordan, Kuwait, Qatar, and Yemen suggest, political liberalization—as managed by the state—not only opens new spaces for debate and criticism, but is also used as a deliberate tactic to avoid genuine democratization. In several chapters on Iran, the authors analyze the benefits and costs of limited reform. There, the electoral successes of President Mohammad Khatami and his reformist allies inspired a new generation but have not as yet undermined the clerical establishment’s power. By contrast, in Turkey a party with Islamist roots is moving a discredited system beyond decades of conflict and paralysis, following a stunning election victory in 2002. Turkey’s experience highlights the critical role of political Islam as a force for change. While acknowledging the enduring attraction of radical Islam throughout the Arab world, the concluding chapters carefully assess the recent efforts of Muslim civil society activists and intellectuals to promote a liberal Islamic alternative. Their struggles to affirm the compatibility of Islam and pluralistic democracy face daunting challenges, not least of which is the persistent efforts of many Arab rulers to limit the influence of all advocates of democracy, secular or religious. Shaul Bakhash, George Mason University; Ladan Boroumand, Abdorrahman Boroumand Foundation for the Promotion of Human Rights and Democracy in Iran; Roya Boroumand, Abdorrahman Boroumand Foundation; Jason Brownlee, Princeton University; Daniel Brumberg, Georgetown University; Abdelwahab El-Affendi, University of Westminster; Haleh Esfandiari, Woodrow Wilson International Center for Scholars; Abdou Filali-Ansary, editor of Prologues: revue maghrébine du livre; Michael Herb, Georgia State University; Ramin Jahanbegloo, Aga Khan University, London; Mehrangiz Kar, lawyer, writer, and human rights activist; E. Fuat Keyman, Koç University, Istanbul; Laith Kubba, National Endowment for Democracy; Vickie Langohr, College of the Holy Cross; Bernard Lewis, Princeton University; Russell Lucas, Wake Forest University; Abdeslam Maghraoui, Princeton University; Radwan Masmoudi, Center for the Study of Islam and Democracy, Washington, D.C.; Ziya Önis; Koç University; Soli Ozel, Bilgi University, Istanbul; William Quandt, University of Virginia; Jillian Schwedler, University of Maryland, College Park; Jean-François Seznec, Columbia University and Georgetown University; Emmanuel Sivan, Hebrew University; Mohamed Talbi, independent scholar; Robin Wright, Los Angeles Times. Larry Diamond, senior fellow at the Hoover Institution, is codirector, with Marc Plattner, of the International Forum for Democratic Studies. He is also coeditor, with Marc Plattner, of the Journal of Democracy and of other collections of essays available from Johns Hopkins, including The Global Resurgence of Democracy, Consolidating the Third Wave Democracies, and The Global Divergence of Democracies. Daniel Brumberg is associate professor of government at Georgetown University.